Becoming a female leader in football just got easier, as The Football Business Academy continues its commitment towards women’s football and women in football by opening up 2 scholarship opportunities per intake for aspiring female leaders. Through these scholarships, with each covering 50% of the tuition fees, The FBA embarks on a mission to find and empower more talented women who dream of working in the football industry and change the status quo for the better. former Head of Women’s Football Development at FIFA. 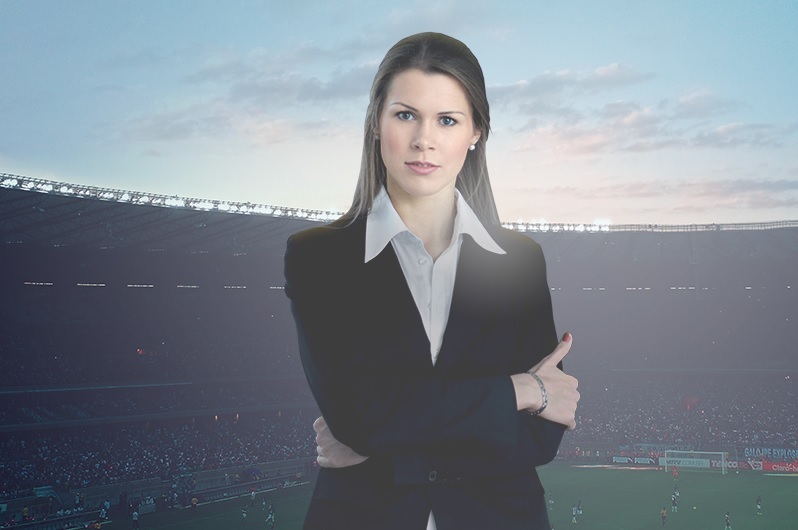 The initiative will support women looking to start their career in football, with grants worth CHF 30,000 available for each intake (the next one starting in March 2018) of The FBA’s Professional Master in Football Business. The Football Business Academy was built on the premise that, for the football industry to be able to truly thrive, several things needed to change. One of those key things was the sadly evident observation that – both on and off the field – the gap between men and women in football was still so vast, it was diminishing the already tarnishing reputation of football’s leadership in the wake of the global corruption scandal which broke loose in 2015. Already having pioneered the industry by being the first known educational institution to include a dedicated master-level course on women’s football development in its curriculum, The FBA has identified the scholarship initiative as the next logical step to advance the football industry as a whole. Because even Nelson Mandela knew that “education is the most powerful weapon which you can use to change the world.” Yet, in a male dominated industry, it takes extra effort to inspire and execute change more effectively. The issue of gender inequality has been a wider moral and social issue for some time now and across a lot of other industries even, but it now appears to also becoming a more critical economic challenge which could affect the public, private, and social sectors in work and society – for better or for worse. A recent McKinsey Global Institute report found that the global economy will suffer important consequences if women – who account for half of the world’s working population – do not achieve their full economic potential. Indeed, the report concluded that $12 trillion could be added to global GDP in the next 8 years by advancing women’s equality. Although small, positive changes have started to appear in the football industry with regards to women’s football and women in leadership roles, it is undeniable that a lot more should and can be done if all stakeholders make a serious commitment to advancing gender parity initiatives in a more progressive way. The sooner the football industry achieves this, the better it will be for everyone involved – including the men’s game and male leaders. Those who are interested and define themselves as highly talented candidates with high leadership aspirations in the football industry can find out the admission requirements and submit their application through the following link: http://the-fba.com/apply. To be eligible for a scholarship, candidates should pass the entire application process successfully. Winners of the scholarships will be notified by the Admissions Committee at the latest one month before the start of the academic year for which they have applied. The Football Business Academy is an ambitious educational institution dedicated to the football industry. It offers an innovative and comprehensive Professional Master in Football Business which has been developed in a collaborative way with football industry experts around one foremost objective: to provide students with all the necessary tools and an optimal learning environment in order to succeed in this passionate and dynamic industry. © 2019 The Football Business Academy, Geneva, Switzerland. The Football Business Academy and The FBA are registered trademarks.